Learn about computer-assisted instruction (CAI) and the ways in which it enhances teacher instruction. What does CAI look like for reading? Reading computer programs demonstrate concepts, instruct, and remediate student errors and misunderstandings from preschool through college. Some programs help students learn basic sight word and phonics skills; others develop and enhance reading comprehension skills through increased fluency, word prediction, and story prediction. Programs may use reading activities as a community service projects, such as Read to Feed or as competition among students to read books (Accelerated Reader). The U.S. Department of Education's site, Help My Child Read, helps parents determine whether their child's early reading program is a good one. Computers may be used individually or in groups in a cooperative learning environment where students can discuss concept as they learn them. Below is an example of a computerized program as the student sees it. The program may be used for instruction or assessment. The student uses the mouse to click the best word of the three presented for each blank to complete the sentence so that it makes sense. If this activity is used for instruction, the program gives positive feedback for correct answers or shows the student which answers are wrong and then gives the correct choice. The program may speak the sentence with the wrong word and ask the student to choose another word of the three, or it may highlight the correct choice and speak the correct sentence. If the program is used for assessment, no remediation is given; the program just scores the sentence. One program that teaches phonics and reading skills to all ages of students continually monitors a student's speed and accuracy as the student works through each lesson (Autoskills; www.autoskill.com). The teacher sets an accuracy goal in the program for the student?the number of sounds or words per minute that the student must master. At the most basic level, the student, using headphones, hears the sound of the letter and then chooses which of three letters presented has that sound. For example, the program makes the sound of the letter k as this screen appears. The student uses the mouse to choose the correct letter. If the student makes the correct choice, a checkmark appears over the correct letter. If the choice is incorrect, an X appears over the correct letter. In either case, the program then quickly moves to the next letter. The program gives the student 50 sounds and measures the amount of time the student takes to identify them. The number of sounds the student correctly identifies divided by the number of minutes is the measure of correct sounds per minute. The program graphs the information for the student and then prints a copy of the student's errors for the teacher. When the student reaches the goal the teacher has set, the program moves the student up to the next skill level. When the student has mastered the phonics, he or she will see word games and puzzles, a maze for comprehension, and a library with stories and comprehension questions. Programs such as this one are used for at-risk students and students with disabilities in middle and high school and with adults to improve reading skills. Reading programs are beneficial to reading instruction because they allow students to learn at their own pace; teach phonics with sound, student interaction, and immediate feedback; and allow students to read animated books. Some programs read stories that students write on the computer. Students may be scheduled for instructional or remedial time with the computer. The computer program may also be a station in a classroom learning center or used as a reward for positive behavior or work completion. http://www.autoskill.com/ - A helping hand for literacy, this is the home site for the Autoskills computer program, which is beneficial for students who are at risk or have a reading disability and for ESL students. lis/models/tips/readingpage/motivation.html - This Baltimore County ( Maryland) Board of Education Web site has activities, booklists, author lists, lesson plans, and more. 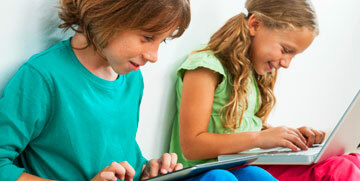 By_Subject/Reading_and_Writing/Teaching_and_Learning_Aids/ - This site presents lists of programs. Some are free and some require purchase of a program. http://disney.go.com/disneyhand/learning/readingtogether/ - This site encourages parents and their children to read entertaining stories together. The site offers downloadable reading tips and a colorful idea book and bookmarks. http://www.education-world.com/a_curr/curr183.shtml - Education World's Online Book Incentive program provides online quizzes to test students' comprehension of books they have read. Students choose library books from an online list, read them, and then take the quiz. The material is appropriate for K-8 students. http://www.house.gov/fattah/education/funandrec.htm - Pennsylvania's Congressman Fattah's Web site offers literacy information. http://www.netn.net/14113.htm - This site has many interesting science, early education, activity, and organization links for elementary school teachers and for parents of elementary school children. Some of the sites are free and some charge a fee for their materials. http://www.starfall.com - This site offers phonics instruction and books that the computer reads aloud with the student. Been there, done this, in my 30 plus years of experience in teaching reading. CAI is an effective, teaching strategy in this century! the information that you provide is very brief. i need a more broad explanation about the CAI. i hope by next time that i will visit your site, i will see more info.